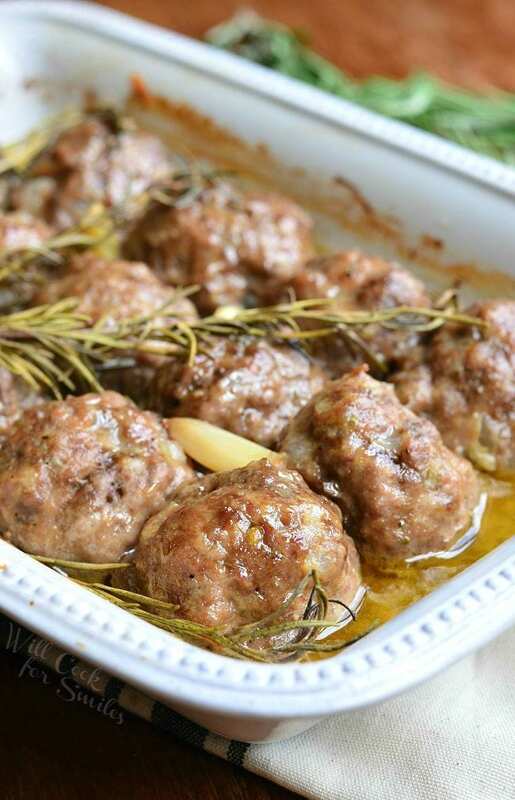 Hearty meatballs always make a delicious classic dinner and flavor variety is practically endless. These tomato basil meatballs are made with a combination of beef and pork and flavored with sun-dried tomatoes and basil. 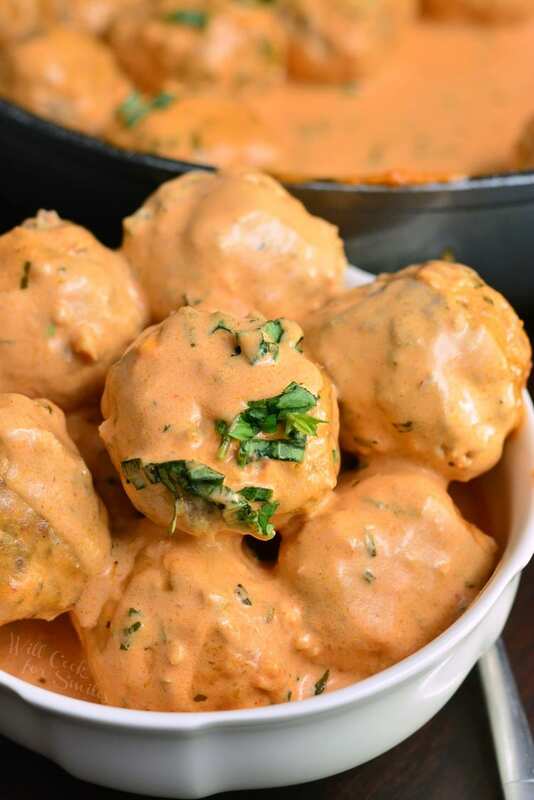 Creamy tomato basil sauce compliments these meatballs perfectly. Meatballs!! Anyone else’s family goes crazy for meatballs? Every time I tell my husband that we’re having meatballs for dinner, he gets super excited. If he was a dog, he’d be wagging his tails and whimpering until the meatballs were ready. 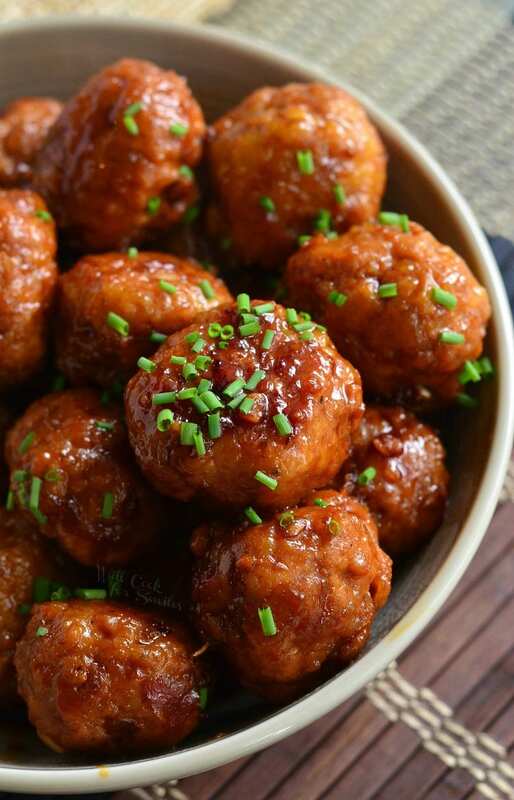 Aside from our favorite dinner, meatballs are also a party favorite. 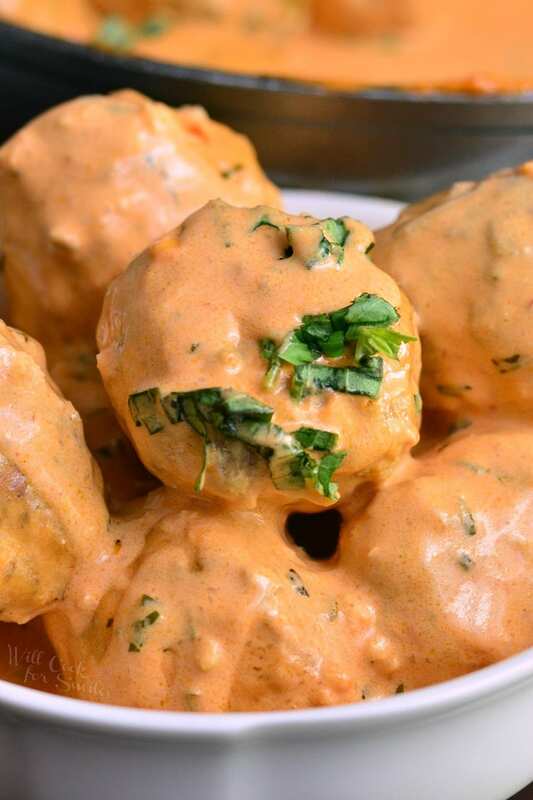 Imagine serving meatballs every day for a month, can you actually get tired of them? NOPE, it’s impossible to get tired of meatballs because of how many different flavor and meat possibilities there are. 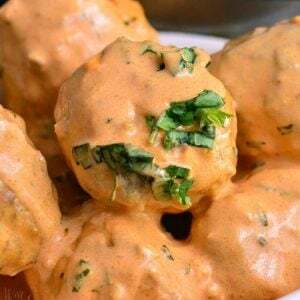 Meatballs can be made of ANY kind of meat, think chicken, turkey, beef, lamb, veal, and any other meat that you can come up with. Sauces and flavors are also endless, much like the ways of serving them. Meatball subs rock, don’t you agree?! 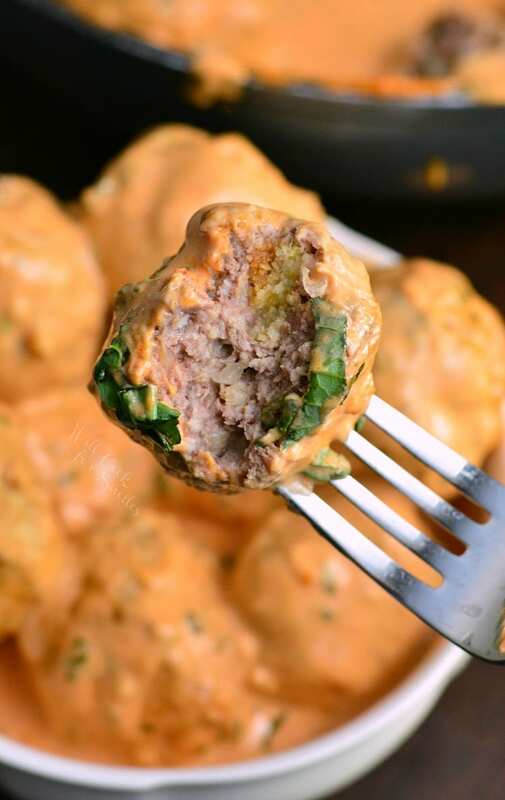 These tomato basil meatballs is a new meatball recipe from me and I am in love with them. 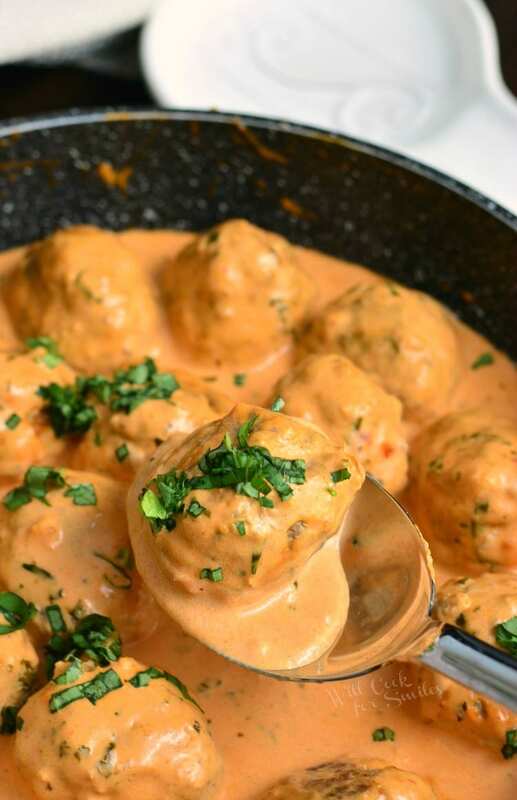 I love the sauce just as much as the meatballs. Fresh basil is an herb that makes everything better and paired with tomato, it’s a classic and delightful taste. I’ve also thrown in some sun-dried tomatoes into the meatball mixture for an additional tomato flavor. 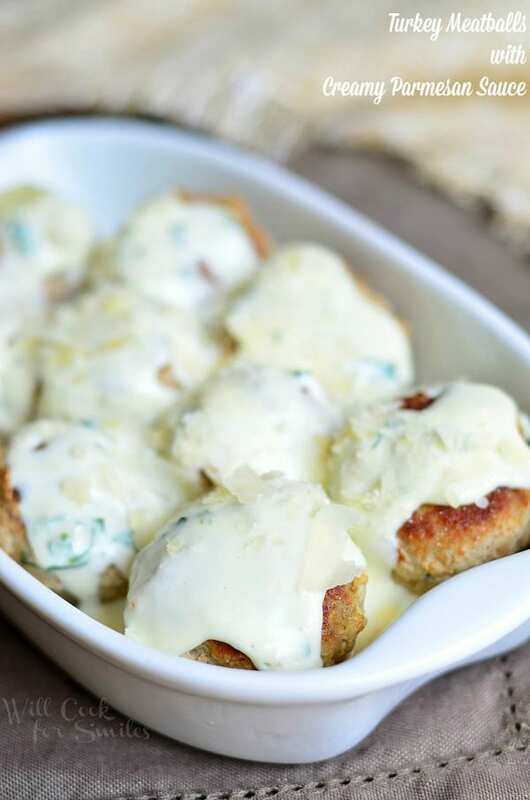 These meatballs are creamy, juicy, and a tasty perfection! These tomato basil meatballs are made with a combination of beef and pork and flavored with sun-dried tomatoes and basil. In a large mixing bowl, combine all ingredients for the meatballs. Mix very well, until all ingredients are evenly incorporated throughout. Preheat a large cooking pan over medium heat and add a couple of tablespoons of cooking oil. Place meatballs in the pan, cover with a lid and cook until almost done, turning the meatballs over half way through the cooking. In a sauce pot, add olive oil and preheat the pot over medium heat. Add pressed garlic and saute until flagrant. Add heavy whipping cream and whisk in tomato paste, sour cream, dry Parmesan cheese and salt to taste. Whisk well and let the sauce heat through. Once the sauce is hot, set it aside. 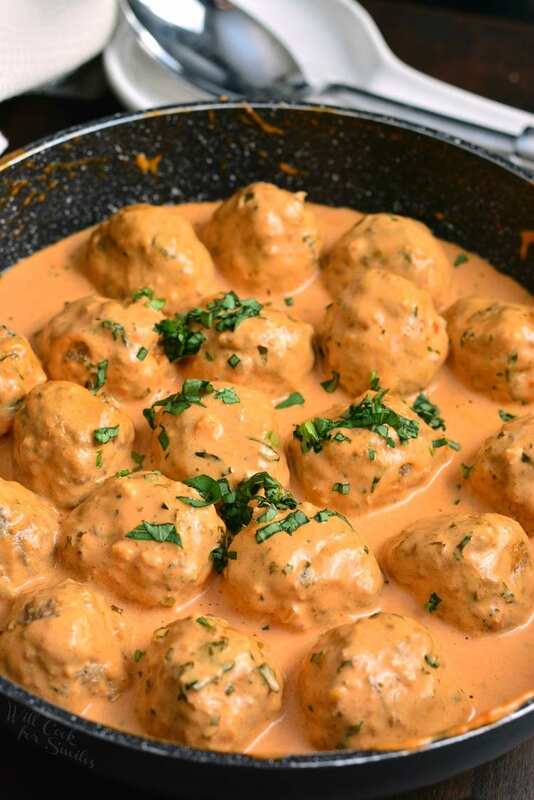 Drain off most of the the meat juice from the pan with meatballs and add the creamy tomato basil sauce to the meatballs. Let the meatballs simmer over medium-low heat for a few minutes.